This outstanding example of craftsmanship and Arts and Crafts style can be your vacation destination in McMinnville, Oregon. Get a glimpse of the history of this home and the important family who built it. On what’s now a dead-end street one block from downtown McMinnville’s famed Third Street and adjacent to the railroad, the Wortman House was built around 1905, when McMinnville was in its early growth years. 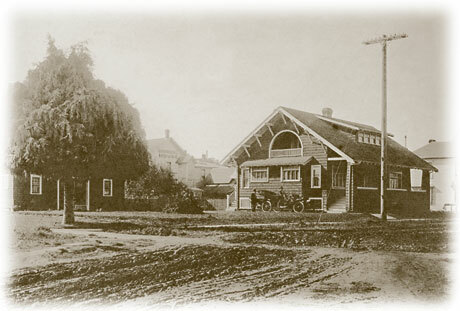 The Wortman family established the First National Bank of McMinnville in 1883. Land for Wortman Park at 2051 NE Lafayette Avenue, was donated by the Wortman Family. In 1902 they purchased the first vehicle, the “Locomobile,” on the West Coast. The Locomobile was the first vehicle to drive along the Oregon Coast. The Wortman family was the first McMinnville family to own a motorcycle, car and airplane. Their Locomobile was the first vehicle to deliver mail. 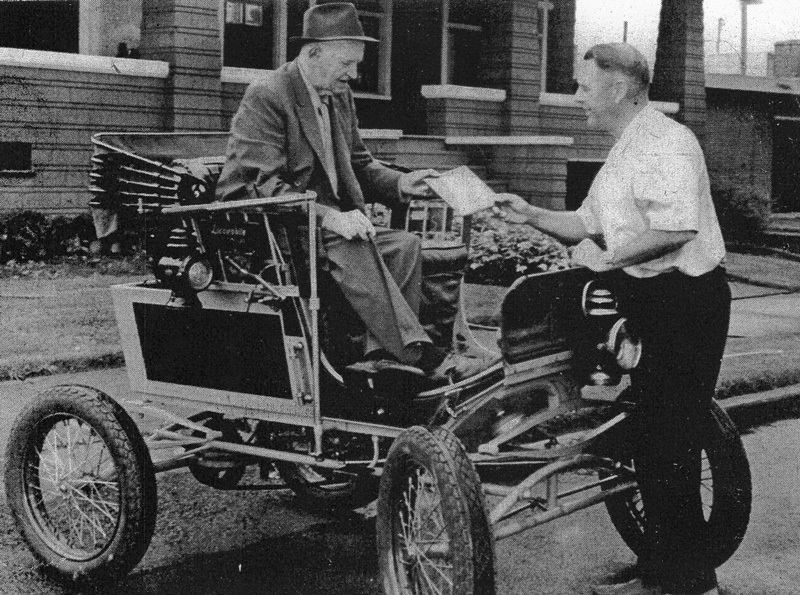 Ralph Wortman, author of “A Horseless Carriage Comes to Town” accepts the first copy of the book from Phil Bladine, publisher of the local newspaper, the News Register, who edited the book. 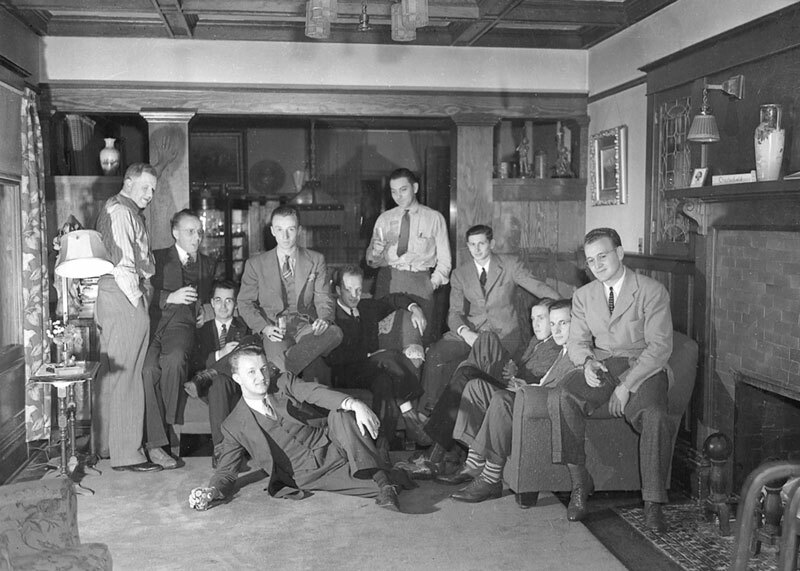 The picture was taken in front of the house at 726 Fourth Street. We believe the Locomobile was housed in the basement of the house at 726 Fourth Street. It can be seen on display downtown in the Key Bank lobby at 3rd and Davis, the location of the original First National Bank of McMinnville, established by the Wortman family. In 1903 Ralph Wortman brought the very first car to the county, his 1901 Stanley Stanhope Model 1 Locomobile. 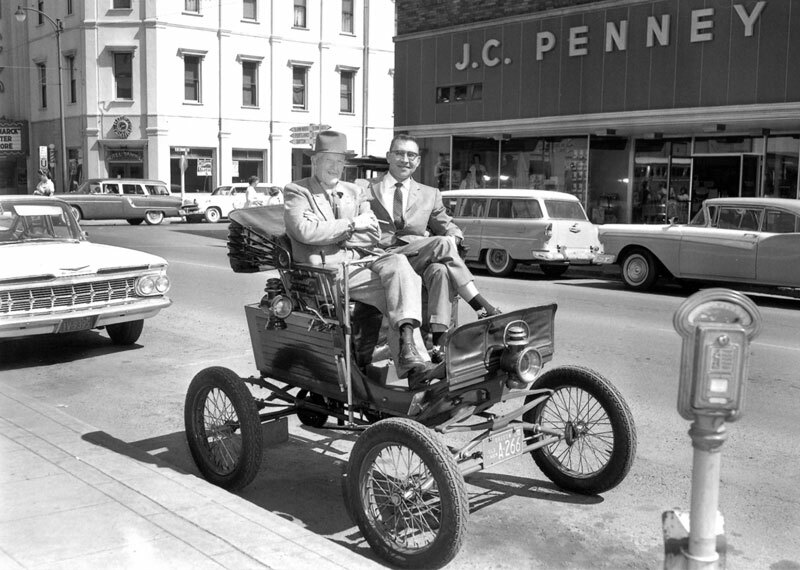 Everyone else was still living in McMinnville's Old West, driving horse and buggies downtown on a dirt street. But it was a new century, and Ralph would lead the way. After he bought it he left the car in Portland because the unpaved muddy road to town was impassable during the winter. But the kid finally got it here that spring, and within about a month Wortman and his car were starting to stir controversy. Anyone that knew Ralph couldn't have been surprised. Originally built as a shingled, one and one-half story bungalow, in later years the house was remodeled to add a bathroom and additional room upstairs on the south side. The original open sunporch was also sealed in with a handsome arched window. The small corner sink in the stairwell landing upstairs indicates the upstairs rooms all shared the downstairs bathroom (before the remodel) and the sink was placed for convenience. It’s possible the home was a “kit house” similar to these offered during that time. It resembles other homes in McMinnville in style and details, which may also have been kit homes. However, the interior details, in particular the beautiful woodwork and coved ceiling, were likely custom additions. The house was built by O.G. Estes, Ralph Wortman’s father-in-law. The prominent location, large size, and fine detailing reflect the stature of the Wortman family in McMinnville’s development. As you can see in this old photo, the original entrance to the porch was at one end, not in the center as it is now. The sun porch was open, not glassed in, and there was a different house next door. The railroad, which still runs freight trains for lumber and steel, is next door. Yes, when you stay at 726 Fourth, you’ll hear the trains and train whistles daily and occasionally at night. All part of the ambiance! The old-fashioned train station remains on Third Street and houses the offices of Portland and Western Railroad, but the railroad is not open for passenger service, unfortunately. Wouldn’t it be wonderful to take a train from Portland to wine country to the Coast? Someday, maybe. You know there’s something special about a main drag when locals refer to it as the community’s ‘living room.’ ‘Third Street is the reason I chose to raise my family here,’ says schoolteacher Sara Tucholski … ‘It offers a bit of everything.’ Pedestrians might pop into Grain Station Brew Works to sample their craft beers, or browse American-made vintage clothes and decor at Rag ’n’ Bone/Mid Mod. Then they can enjoy a five-star meal at Thistle, which buys its produce from family farms within 45 miles. There’s plenty to see and do in McMinnville. When you stay at 726 Fourth you’ll be close to it all. A few blocks away or a short drive will put you at museums, shopping, parks, galleries, wineries, orchards, hiking and biking trails and historic sites. 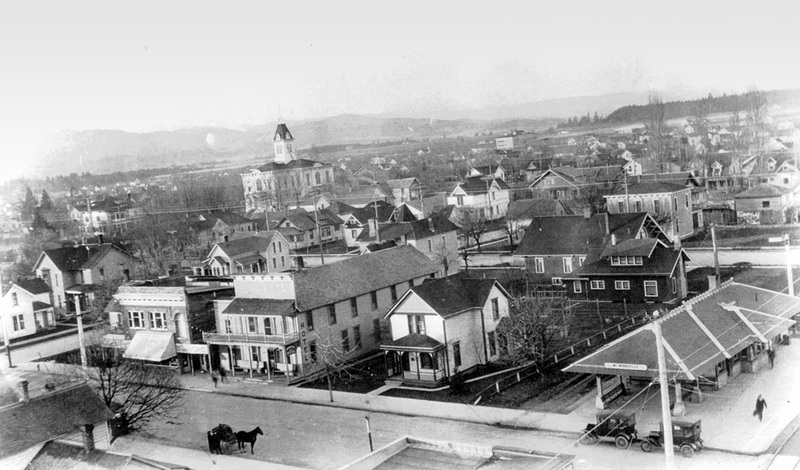 Read more about McMinnville’s history here. Or explore what’s happening in McMinnville when you’ll be in town. Learn more about Creative Company and the move to McMinnville, to this house, in 2001.